In Early 2016 A developer from Texas proposed building a Resort on his own land of over 1,000 acres. 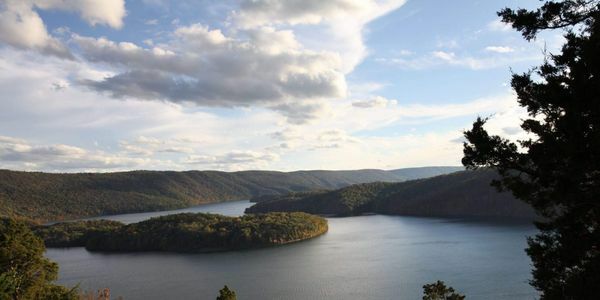 To go with that, He has proposed a Marina on the entire Mile marker 2 peninsula at the old Hawns bridge area of Raystown Lake. The Marina will ultimately add a new crowd of boats to an already extremely overcrowded lake obviously making it even more dangerous and can be deadly due to the influx of boats and big cabin cruisers and offshore racing boats, most from out of state. The shore lines are eroding, the water quality is worse than ever, piles of human feces scatter the woods anywhere a boat can be pulled up. Invasive weed species overcome the shallows along nearly every foot of shoreline, from being brought in on the hulls and props of non resident boats. Bui arrests are more frequent. Two summers ago there were three drownings in one day. Also another primary concern is that This will destroy habitat on the Penninsula as some species are listed as protected. There will be a road down the face of the mountain from and to the resort. There will be different restaraunts, spa, a gift shop or two, cabins, campsites, gaming areas and more. Most to cater to the upper class. they have to have a lease with the Army corp of engineers. There has been no decision by the Army Corp. as of yet. This is being invited by Huntingdon county business and industry as an effort to produce jobs, but these jobs will be seasonal at best and pay low wages.Its not worth the destruction and added tourists running about the lake . They are even talking of shuttle boats from the lodge to Snyders run boatlaunch. Roberts owns a marcellus shale exoploration company and owns many more acres on the Cassville side of the mountain. You can go to Huntingdon county business and Industry Facebook site and read all of the past posts dating back to february 24th. There are many arguments on HCBI's behalf and many posts explaining the project from their perspective and people expressing their feelings opposing and why they are opposing. . Please sign to keep this large luxury resort and marina from being built. Once this comes to this beautiful lake that is already struggling to mantain a balanced ecosystem due to overcrowding, there will be no going back and when will it stop? Raystown resort never made this area. How they would expect this to be a miracle is beyond us. It was stated that there would be minimal affect on the enviroment and the nature surrounding, yet mentioned 500 employees. How large would a place have to be to employ 500 people? This indeed will have a great enviromental impact, However given Seven Points is a rather large marina, they might employ 30 people. .500 sounds a bit far fetched. Something doesnt add up with the expectations of this proposal. We do encourage you to read all on this subject, It has been covered by wtaj, and local news stations. Also it has been explained by HCBI from their perspective, however their perspective does not look out for the safety of lake users or the enviroment. We are all still astonished on why the developer and Hcbi would emphasize the project would " blend" with nature and not add boat traffic. How would this be so? If 500 people would be employed, this would have to be a fairly huge resort, there for enviromental impact is not being fully evaluated. Even though this may be in an exploritory phase, there needs to be these most fragile subjects brought up OVER the possibility of the low pay jobs. A load of low pay jobs is not worth this loss of land and tranquility. The first public meeting was oddly scueduled for 12 noon on a Thursday. When most are at work, But so were the Chamber of commerce, HCBI, and the Visitors bereau. So attending the meeting basically was their work. . Public needs to be heard. Please help save Hawns bridge peninsula... This is to Colonel Edward P. Chamberlayne of the U.S Army Corp of Engineers, Baltimore District and Any one that has any authourity over this decision. http://www.nab.usace.army.mil/Missions/DamsRecreation/Raystown/ProposedDevelopment.aspx. This is the army Corp website for comment and input. Please check it out and say your piece. We've got to bbeat this. Tonight we raised the goal from 1300 to 1500 since the first goal was set in such a short amount of time! Everyone who is opposed to this project, please take a moment and sign and if you will , write a short message on how you feel about this... thank you!